Terry Kennedy and his Supra homies have been hitting up key spots around the nation to promote the release of TK&apos;s first signature shoe, the Supra Society. This past weekend TK and Co. were in our hood, and visited KCDC (Click HERE for pics) in Brooklyn. 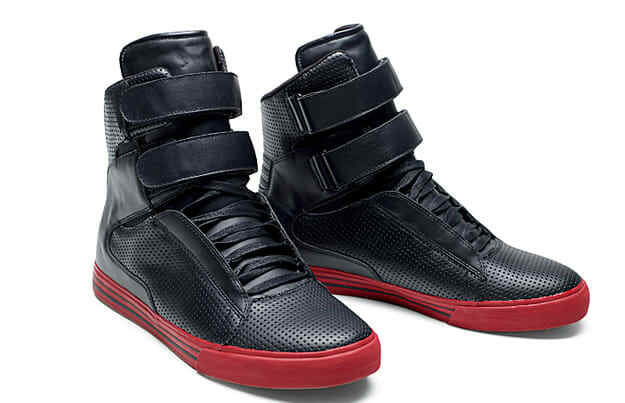 Supras were slung, and TK greeted the crowd who were there to cop the shin-high sneakers. If you missed out on the promo tour, head over to Factory 413 to cop either the black/red colorway or the purple suede.